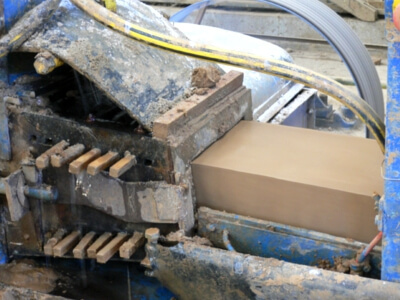 A terracotta brick must be made in keeping with a number of manufacturing rules, which are adapted to the types (and variations) of raw materials used whilst always respond to the requirements of its users. 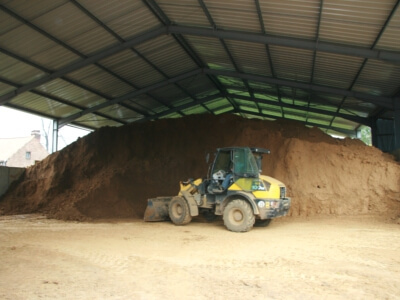 The clay used to make bricks is first blended and kneaded into a regular texture. The resulting material is then worked and formed in a mould or through a wire mesh. The bricks are dried carefully respecting specific procedures. The drying times can vary significantly, from a few hours to a number of weeks depending on the type of clay and the procedures used. This is a ring-shaped kiln, with a continuously burning and mobile heat-wagon which is moved around to fire the bricks which are placed on the floor. This procedure dates back to the industrial revolution, around the end of the 19th century. 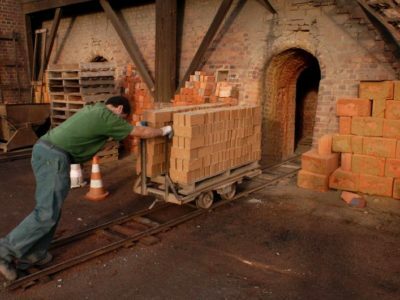 A temperature of around 1,000° is required to fire the bricks and the movement of the fire-wagon ensures that there is a gradual pre-heating process. 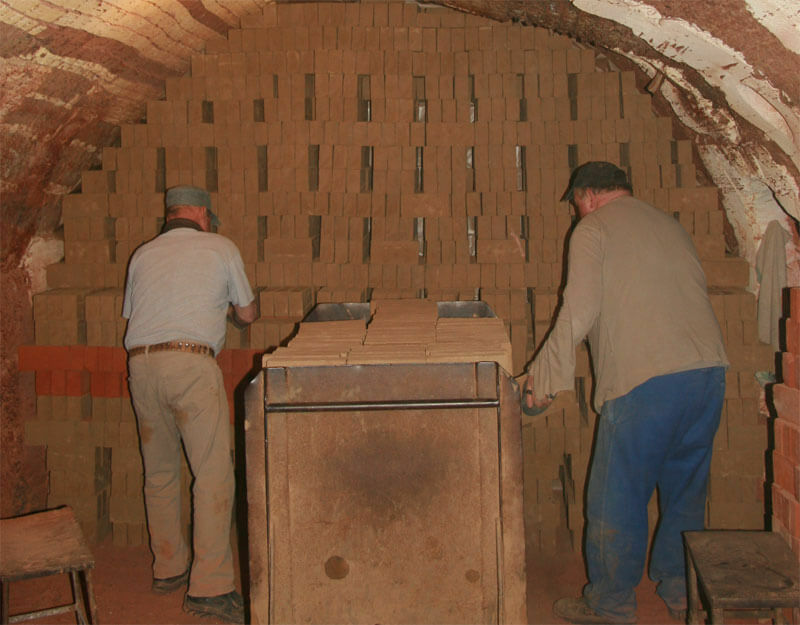 Inside the kiln, the dried bricks must be piled in a very precise way, allowing the air to flow horizontally and the fuel (usually coal) to fall vertically from the upper floor through openings in the heat-shielded vaults. Using coal in a naturally ventilated kiln produces variety amongst bricks fired on the same day. 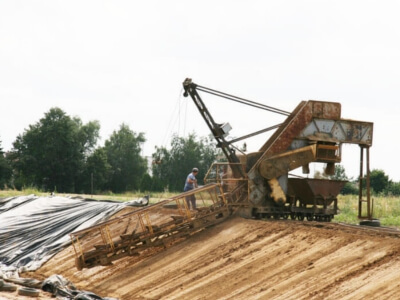 The clay used is never exactly the same from one hour to the next and the absence of mixing during the clay preparation processes generates natural variations. This kind of technology first appeared during the second half of the 20th century. 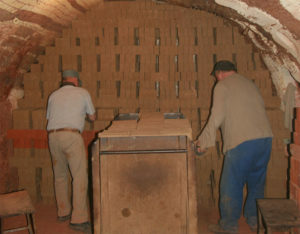 The bricks are piled up on wagons which travel through a heated tunnel. 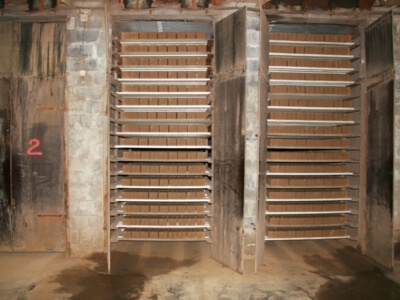 Depending on the type of clay and procedure used, the firing time varies from a few hours to a number of days. The fuel used is generally natural gas. 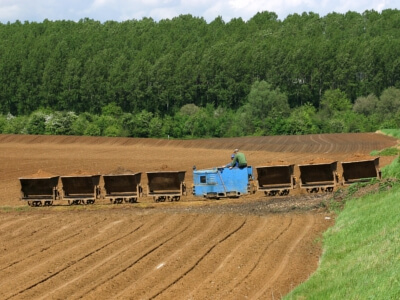 Discover the seven brickworks of the North of France and their production.